“The culture of medicine, one of high standards and perfectionism, is also one in which emotional reactions to adverse events are generally not acknowledged or openly discussed. To our detriment, we are trained to ignore our own humanness and frailty,” says Susana Vacas, MD, PhD. The peer support program was developed by Brenda Bursch, PhD, Professor of Psychiatry and Biobehavioral Sciences, and implemented in our department by the chair of our Wellness Committee, Keren Ziv, MD, and our Program Manager, Shevaughn Marchese. The program trained 24 of our department members to offer nonjudgmental, confidential immediate support and information to colleagues who encountered adverse and difficult events. Through role-playing, dialogue scripts and on-going check-ins, peer supporters learned how to let their well-honed problem-solving skills recede into the background and allow their listening skills and empathy to come to the fore. 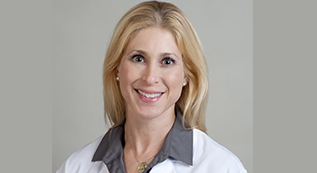 Dr. Ziv herself took advantage of peer support following a difficult case. The procedure had many risks the team successfully handled, and the outcome was positive, yet she found herself shaken by thoughts of what could have gone wrong. Discussing her feelings about the event with a colleague in the program enabled her to recover her sense of stability quickly and connect to a sense of achievement. The program taught participants that emotional responses to adverse events can take many different forms, influenced by the individual’s past and conditioning. What’s important is not learning to give an “appropriate” response, but taking the time to understand and explore pain and, if necessary, access additional resources – such as therapy or support groups -- to further explore it. “I was very happy to see representatives from the resident classes and CRNAs attend the peer support training. It shows that our department is invested in supporting each other in our high-stress environment,” said Shelly Anderson, CRNA. Dr. Ziv also notes that the Chief Residents took an especially active role in making sure residents participated. This year’s incoming class will train its class representatives to be peer supporters. While the pilot has concluded, our department will continue to host the program. Dr. Bursch is now working on training other departments, with an eye toward a hospital-wide rollout in the future. Adoption of peer support can take time, since participants must trust their vulnerabilities with their professional peers. Why not just confide in a friend?